I'm very excited about my second pattern test, featuring my "Bunnies in Dresses" design! If you're interested in reading about my first pattern test, please take a look at the Christmas Angel Pattern Test post. 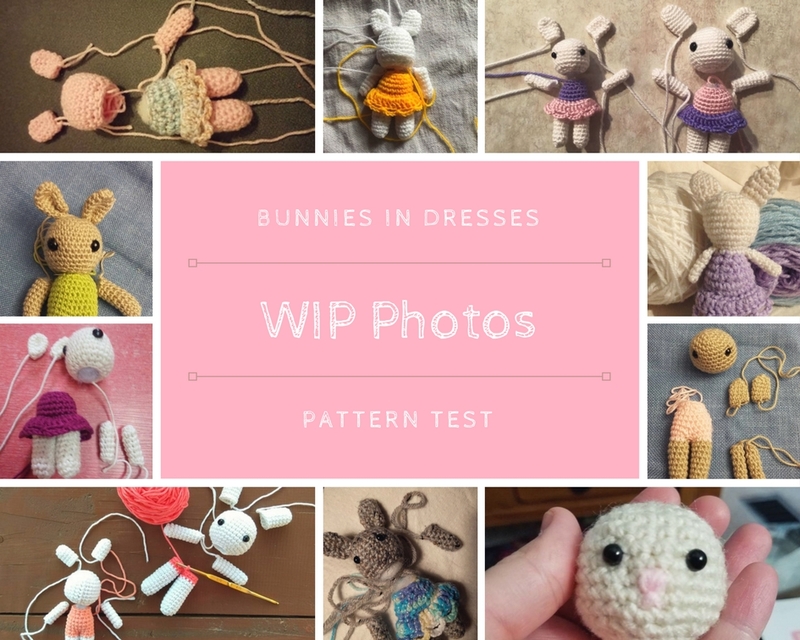 It has been such a pleasure to round up and connect with another group of very talented crocheters for this pattern test. Thus far, I'm joyed to see beautiful photos coming in of their works in progress! "No-bunny" (excuse the lame pun) is the same! 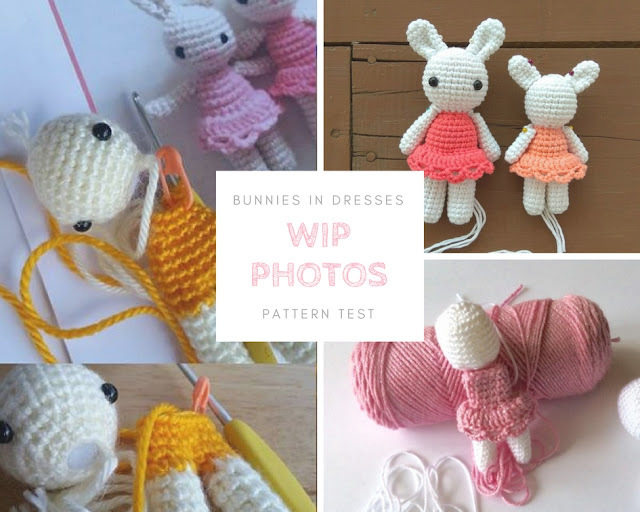 Each bunny sports different color combinations and unique, finishing touches! I can't wait to post about each tester's finished work after the test deadline tomorrow! Stay tuned to see some adorable, little buns! !